Ivy Liao is one step closer to the 2020 Olympics! 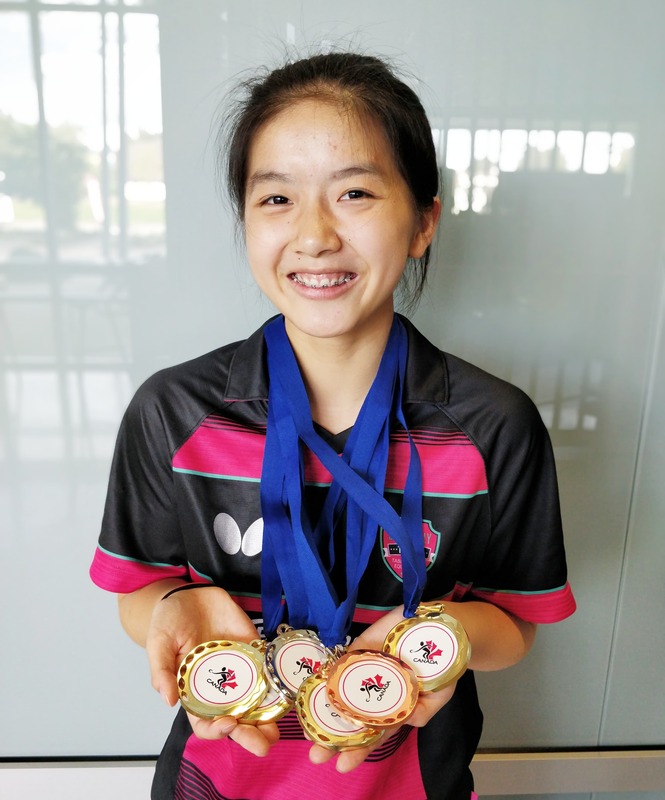 She just qualified for the ITTF WJC (International Table Tennis Federation World Junior Championships) in Bendigo, Australia in early December! She is now off to compete in the Canada Cup in Toronto next weekend to defend her U17 and U21 titles. Thank you so much for all your help this year with my table tennis and SHAD trips. 2017 was an amazing year for me, and my family and I just wanted to say thank you, as huge parts of it may not have been possible without everything you’ve done for us. I went to Las Vegas last weekend to participate in the North American Youth Olympic Trials for Buenos Aires 2018. I just got back from SHAD at New Brunswick earlier this week, and I thought I’d update you about the past three months. Three months ago in May, I went to Europe to play in three different table tennis tournaments representing Team Canada. 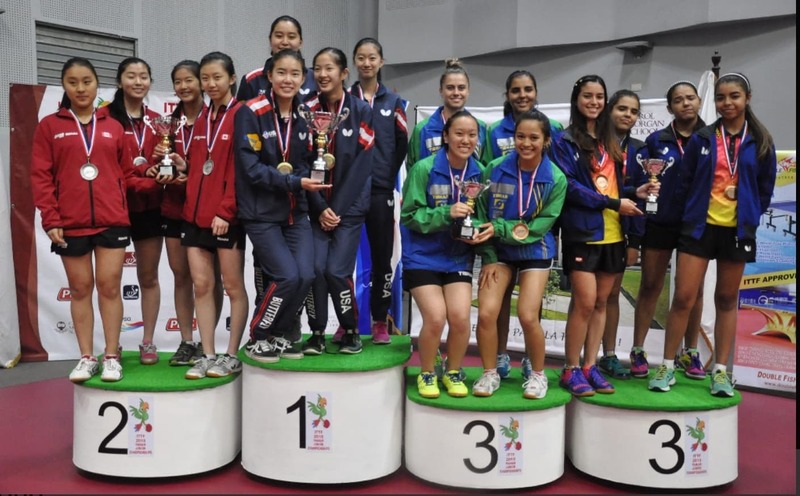 The first one was the Spanish Junior Open, where I played in the U18 Girls’ Singles and Teams events. 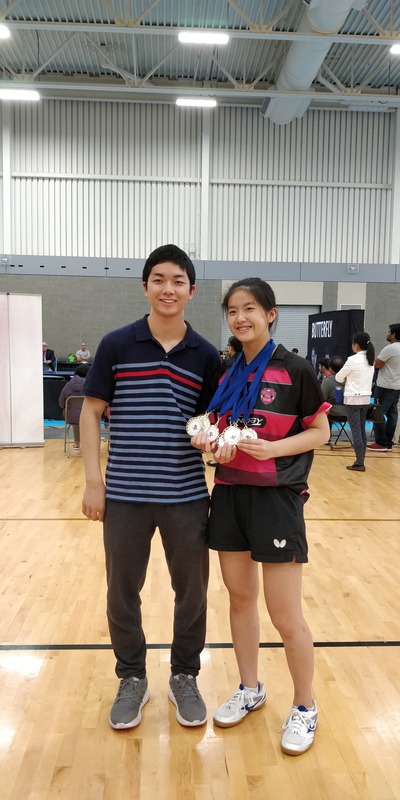 As the competition level was very high, our team didn’t advance from the round robin in the teams event, but in u18 girls’ singles, I was the only player out of the eight Canadian girls that advanced from the round robin stage and got to the main draw. At the second tournament, which was the Polish Junior Open, our junior team managed to upset the team from the Czech Republic, who were ranked first in our group, and we got to the quarterfinals where we lost to a team from Japan. In the singles event, I once again advanced from my round robin, and this time was one of the three Canadian girls that made it to the main draw. Finally, for the third tournament, which was the World Table Tennis Championships held in Germany, I lost in the first round in women’s doubles and got second in my qualification group for women’s singles, which unfortunately was not enough to advance from the group stage. Here is the link to the highlight video that was created from my qualification match against a player from Ireland: <https://www.youtube.com/watch?v=5dxUNHbZEKg>. Overall, the three tournaments were a really good learning experience for me both skill and personality wise, and meeting and competing against some of the top players in the world was also epic too. 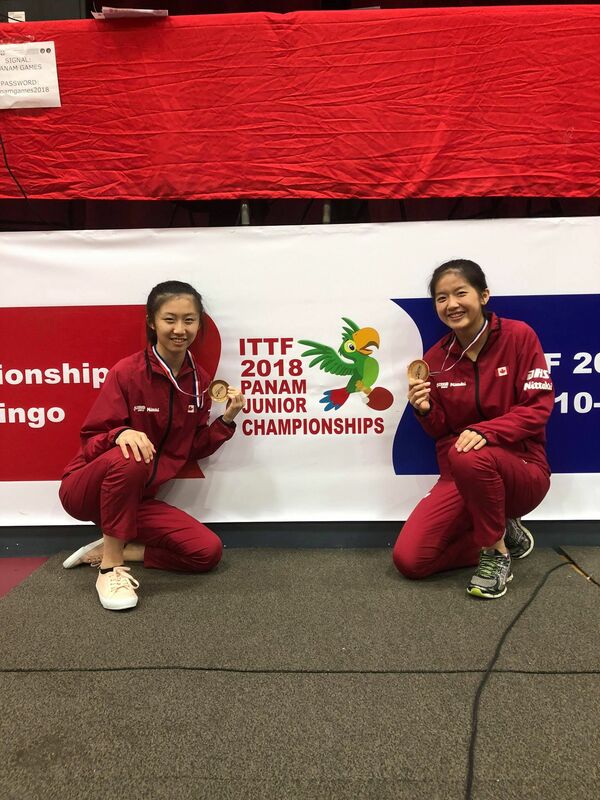 Late June, I went to Buenos Aires, Argentina to compete at the Pan Am Junior Championships as one of the four girls representing Canada, and there I competed in the teams, girls’ doubles, mixed doubles, and girls’ singles events. Our team finished in third place with a bronze medal, I got to the quarterfinals in both mixed and girls’ doubles, and I was the only Canadian female to advance to the quarterfinals in the girls’ singles event. Because of the third place finish in the teams event, our Canadian girls team earned a spot at the World Junior Championships that are going to be held in Italy this November. The whole tournament was very exciting, and I’m pretty happy with how the team and I played. On July 1, a couple of days after I came back from Argentina, I left for New Brunswick for a summer program called SHAD at UNB. I spent the rest of the month of July there along with 79 other crazy talented high school teenagers from all across Canada, and the whole month was absolutely amazing. The organizers of the SHAD program like to say that SHAD is “the longest-shortest month of our lives”, and although I didn’t believe them at the beginning, boy were they correct. Throughout the whole month, I got to experience a bunch of new things while living at a university campus that I would never have experienced elsewhere. We had various lectures (where I found out how hard it was to stay awake in the lecture hall after six hours of sleep :)), STEM based activities (such as a fish dissection, a chemistry lab, a tour of rocks used in downtown Fredericton, a robotics competition, and so much more), a camping trip and a trip to the UNB Saint John campus, just to name some of the things we did. The program directors were really big on bonding and the shads becoming a tight-knit family, and although I doubted that at the beginning as well (since I’m a pretty introverted, shyish person), I actually ended up having at least one decent conversation with every single other shad at my campus through the bonding activities and the way the program directors constantly kept changing up the groups. That was one of the many ways I proved myself wrong during the month, and through experiences like that I feel that I’ve grown immensely. Another big part of the month was the Entrepreneurial Project, where the eighty shads were split into groups of eight to basically build a startup company that would offer a product or service that would help solve the SHAD theme for the year, which was “How might Canadians meaningfully reduce our individual energy footprints (to change ourselves, Canada and perhaps the world)?”. In total, our team spent over thirty hours together working on the parts of our project, which included a thirty page business plan, a financial statement, a commercial, a prototype that was 3D printed, a poster board, and a pitch. This resulted in us creating a really tight bond with our teammates, and it felt amazing working in an environment where everyone was super passionate about the topic and brought their own unique skills to the table to work together and try our best to make it come alive. I was also exposed to a new way of thinking, where in order to make an impact we need to first spot the problem and then find a solution. That, along with other small reminders that were implanted in our heads such as us not being allowed to say “but” and only “hmm…tell me more”, as well as things like “if you’re not willing to go out of your way to pick up that piece of garbage on the sidewalk, how are you going to be able to go out of your way and solve large scale problems such as poverty and global warming?” was really eye opening and interesting to keep in mind. At the end of the month, around the time when everyone was bawling their eyes out at the thought of leaving (me included), the program organizers told us that although our SHAD UNB experience was just finishing, our real SHAD experience had just begun, as we were now “SHAD Fellows”, which connected us to a network of over 16,000 high achieving, successful people. That blows my mind! I could go on about SHAD for a loooong time (just ask my parents haha), but yeah this is just a short summary of how the month went. Overall it was a super inspiring experience, and I feel like I’ve actually learned and grown a ton from the month. Now that I’m back in Vancouver, things feel pretty boring compared to the jam packed days at SHAD, but I’m slowly recovering to I guess normal life haha. Through SHAD, I currently have the opportunity of having an internship with a company called SaveMore Plumbing and Lighting for the month of August, and there I’m working on social media marketing. I’m interning at the Kingsway location with three other shads, and even though it has only been a couple of days, we are already becoming good friends and have endless subjects to talk about including our own shad experiences at the different campuses. This opportunity is really cool, as I’m being exposed to what life is like working in a real business, and I hope that it will guide me more towards discovering what direction I’d like to head in in terms of post-secondary education. All in all, the past three months have been absolutely amazing, and you were a big reason in why I got to experience all this. 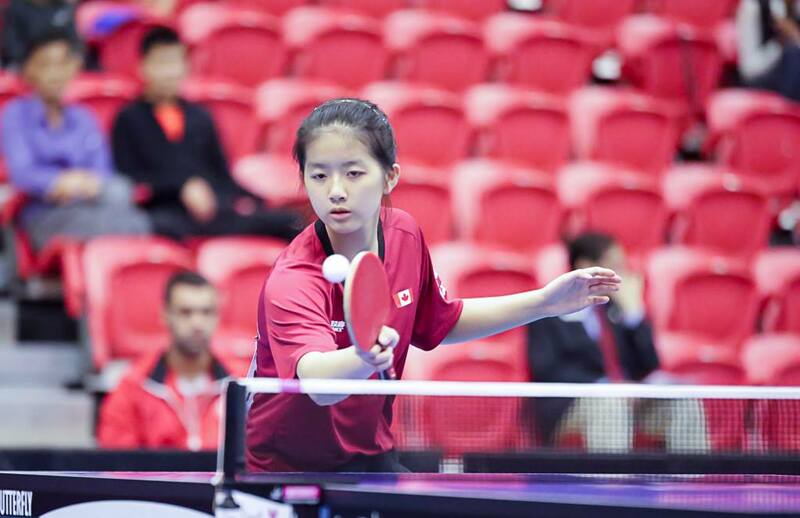 My table tennis game has grown a lot from the four competitions, and because of the tournaments I am now ranked first in Canada for U18 girls in the international rankings. I created this video about the basics of table tennis for SHAD, as we were told to make a short video about one of our passions, and I thought I’d just share it here: <https://www.youtube.com/watch?v=G5wIi8nLdwI>. SHAD was an epic, eye-opening, world-exposing experience for me, and as cliché as it sounds, I will remember the month along with the lessons I’ve learned and the friends I’ve made for the rest of my life. I just wanted to say thank you so much for helping my family with the financial side of the trips, and my family and I are forever grateful. Thank you so, so much! 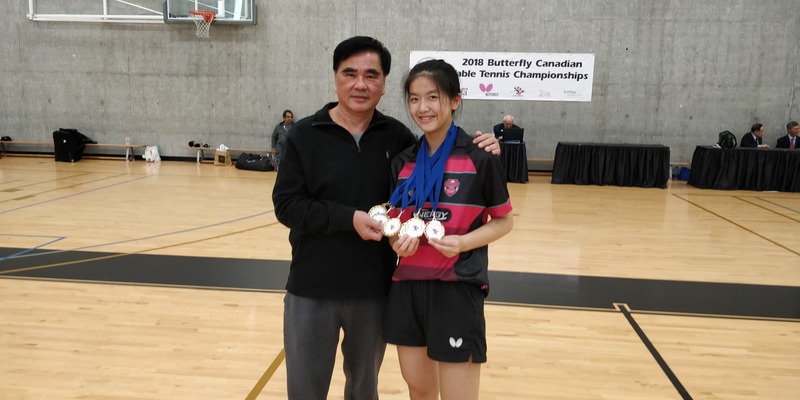 She just got back from the Dominican Republic half a week ago after playing the Pan American Junior Championships there, and the week before that was Canadian Nationals. Her next tournament will be the Canada Cup #1 in Toronto in September. Good luck from the Brit Support Society, Ivy!